Jade best exemplifies the essential aspects of Chinese culture and aesthetic appreciation. This beautiful stone is admired for its hardness, translucent colours and warm brilliance. From these natural properties the ancients found the embodiment of the cardinal virtues of a perfect gentleman. Ancient texts such as Li Ji (Book of Rites) expounded the importance of jade to a gentleman whose wearing of jade pendants achieved both moralizing and ornamental purposes. With time jade came to be identified as a symbol for everything that is good, pure, noble and sublime. The history of Chinese jade articles lasts for seven (7) thousand years. They are characterized with wide applications, multiple varieties, peculiar designs, colorful hues, delicate and beautiful patterns, unique styles and excellent craftsmanship. Consequently, jade articles are an extraordinary type of artistic fortunes for the Chinese people as well as a shining star in the treasure house of the world arts. A simple exploration of the history of the Chinese jade objects will be made in this short article. According to the archaeological data, the history of jade applications in China can be traced back to seven (7) thousand years ago. The development process of this longstanding history goes through the New Stone Age (Neolithin), Hsia, Shang, Chou, Chun Chiu, the Warring States, Chin, Han, Tang, Sung, Yuan, Ming and Ching dynasties. Whereas, the process of development differs from one era to another. A brief statement of respective development process is given as follows. New Stone Age / Neolithin: Ornamental jade plaques unearthed from the remains of Hsing Lung culture in Chih Feng, Inner Mongolia prove that Chinese ancestors are the first people that applied jade for ornaments on the earth since those discovered jade plaques can be dated to the Neolithic era, which is seven (7) thousand years ago. The number of spots, where jade articles were unearthed increased a great deal obviously with extensive distribution areas. Discovered historical remains are like Hsin Le culture in Shen Yang, Ho Mu Tu culture in certain regions of Che Chiang province, Yang Shao culture, Ta Wen Kou culture, Sung Tse culture and Ta Hsi culture, etc. Places that produced jade articles during late Neolithic era multiplied apparently, which was about four to five thousand years up to now. 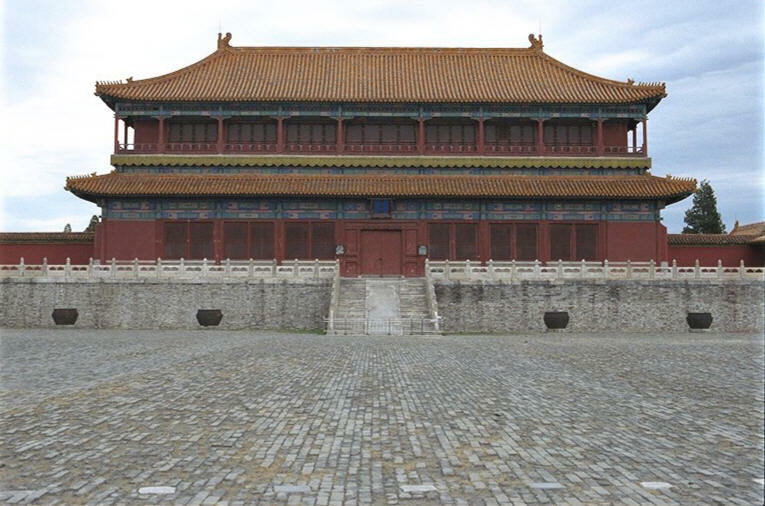 Distribution areas were more extensive, amount and types of unearthed jade articles were considerable, craftsmanship was more delicate and the extent of application enlarged. Representative achievements are like Hung Shan culture, Ta Wen Kou culture, Lung Shan culture, Shih Chiang culture and Liang Chu culture, etc. A large amount of archaic jade was found at the regions of Hung Shan culture and Liang Chu culture in particular. They have the characteristics of tremendous varieties, excellent manufacturing craftsmanship, wide applications and the most extensive distribution areas, which can be counted as the heyday of the Neolithic age in China. The history of the jade articles in Neolithic age has been four thousand years up to the present. During the process of development, the number, variety, distribution areas increase gradually. Several jade centers at Neolithic age in China had been formed till then and they belong to a few different cultural systems with a range from Inner Mongolia, Liao Ning province to Shan Tung, Chiang Su and Che Chiang provinces. There are three divided systems in eastern China, which are the Hung Shan system, Hai Tai system and Liang Chu system. Hsia dynasty: Jade articles of the Erh Li Tou culture (Hsia culture) can be served as a representative. Designs and ornamental styles of the jade articles at the historical remains of the Erh Li Tou culture reveal that their development follows the traditions of Lung Shan culture in Shan Tung province and Liang Chu culture in Che Chiang province, especially for some obvious features of Lung Shan culture. Although the amount of unearthed jade articles in Hsia dynasty has not been great up to now; nevertheless, those discovered well-developed jade articles not only have fully indicated the inheritance relationship between these two cultures, but also implied that jade articles of Hsia dynasty are not developed as well as those of Lung Shan culture. 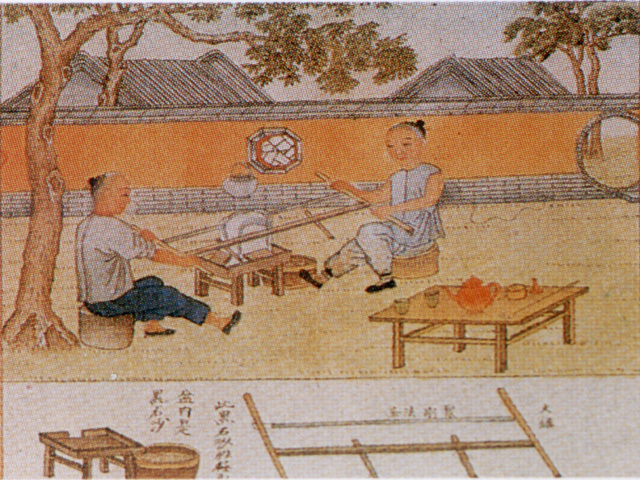 However, there were also some certain craft renovations developed in Hsia culture, such as the invention of the hook drawn-back carving stroke. Shang dynasty: Development of jade articles in late Shang dynasty is fast. The number and variety increase significantly and excellent craftsmanship is the major feature. There are more than 750 pieces of jade articles unearthed from a tomb of a Shang woman with a wide application of ritual vessels, tools, living utensils, ornaments and miscellaneous objects. Besides, jade articles with fanciful colors appeared as well. The carving stroke of double hook lines was invented for pattern decorations. This approach means that a distinct Yang line is revealed between the area of indistinct Yin lines formed by two parallel lines, which makes the patterned picture be constituted with indistinct Yin lines and become more vivid and animated. This invention also reveals that a new milestone is achieved during the development progress of the jade articles in Shang dynasty. West Chou dynasty: As the amount and variety of unearthed jade articles in West Chou ear are not as many as those in Shang dynasty, it denotes that jade articles in West Chou period are not well developed as in Shang dynasty. In addition to inheriting the double-lined hook stroke of the Shang dynasty for pattern decoration carving techniques, some peculiar representatives are like slant carving approach, bird-shaped jade carving, knife and jade ornament with animal (mask) design. As decoration patterns on jade articles are designed more carefully and neatly, they show restraint instead of liveliness as in Shang dynasty. Chun Chiu period: Jade articles during this period are more developed than those in West Chou era. According to a piece of unearthed jade article consisted of 21 units of ornamental jade, the artistic effect of the beauty of jade plaque is reinforced. It also reflects the situation of the emphasis on the level of jade plaque carving at that time. Warring States era: Basically, jade articles during this period not only had advanced progress, but also created another peak. It can be proved from the considerable amount, numerous varieties and incredible carving craftsmanship of the unearthed along with passed-down jade articles. Epochal features are the great amount of jade plaques with dragon, phoenix and tiger shapes as well as multiple star-shaped and s-shaped designs. The multi-knotted (jointed) jade plaque unearthed from an official's tomb in Hu Pei province in early phase of Warring States era and the large jade Huang unearthed at the Ku Wei village, Hui county, Ho Nan province are the first creations of forming an integral jade plaque and jade Huang with several jointed jade pieces. They can be served as the representative jade works in the Warring States period due to the beautiful designs and excellent craftsmanship. Other representative works are like phoenix-shaped jade article transparently engraved with dragon and phoenix pattern, dragon-shaped jade plaque, jade plaque with fierce tiger eating man design and jade Pi carved both sides, etc. The ultimate development of the jade articles in the Warring States period can be witnessed from these representative works. Chin dynasty: Few unearthed and passed-down jade articles during this period are discovered; therefore, the true face of jade carving art in Chin dynasty has been unclear. However, one thing can be sure is that jade articles of Chin dynasty is not as developed as those of Chun Chiu and Warring States periods, which still requires new findings of archaeological data for proof. Han dynasty: A great number of jade articles with ever changing varieties during the Han dynasty are unearthed, which not only inherits the essence of jade carving in Warring States era, but also creates new developments. The major renovation is the general application of piercing (hollowing-out) technique, which breaks the traditional practice of symmetric design commonly applied during Chun Chiu and Warring States periods and achieves the artistic effects of flexibility and variation by successfully exercising the balance approach. This renovation can also reveal the level of jade carving craft at that time. As for ornamental art, new inventions are like sketching method, etc. As a whole, the development of jade carving in Han dynasty reaches to another new milestone in the jade carving history in China. Three Nations, Chin and North & South periods: Development of jade art during these periods is at its lowest stage. Unearthed jade articles are scarce and most of them carry on the style of Han dynasty. Tang dynasty: Though the number of unearthed jade articles of Tang dynasty is not many; however, the craftsmanship is extremely splendid. Jade artisans of Tang dynasty are good at absorbing the essence of traditional Chinese painting, sculpture art and western arts and produce jade carving works full of the style during middle Tang period, which also reflects the lives of the noble families and rich people. 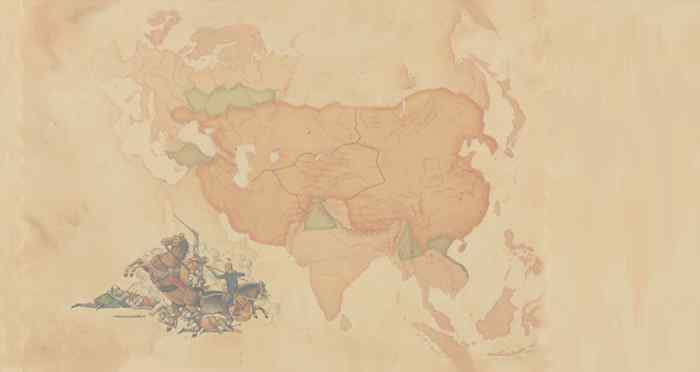 Sung, Liao and Chin era: Although these three nations were split and hostile to one another and often claimed wars and fighting in the military history of China; whereas, they maintained a frequent and close relationship of cultural and economic exchanges and communication. As a result, identical progress and prosperity in jade carving art is shared. Jade vessels at this phase are more closely related to reality. Most of them belong to practical jade ornaments, such as the cups of south Sung and pierced (hollow-out) carving plaques of north Sung. Rich people always collect jade articles as precious curios or give them away as gifts, which results in the trend of fabrication. Yuan dynasty: The style of jade carving in Liao and Chin era was followed and the protruding (relief) carving approach was adopted. The sea god-beast pattern on the surface of the jade articles expresses the bold and unconstrained spirit of Yuan people to a full extent. Ming and Ching dynasties: The development of Chinese jade articles reaches to its top at this stage. The numerous amounts of passed-down jade articles, gorgeous designs, delicate and fine carving craft and wide applications can be beyond comparison. Jade articles in Ming and Ching dynasties also have a wide variety. 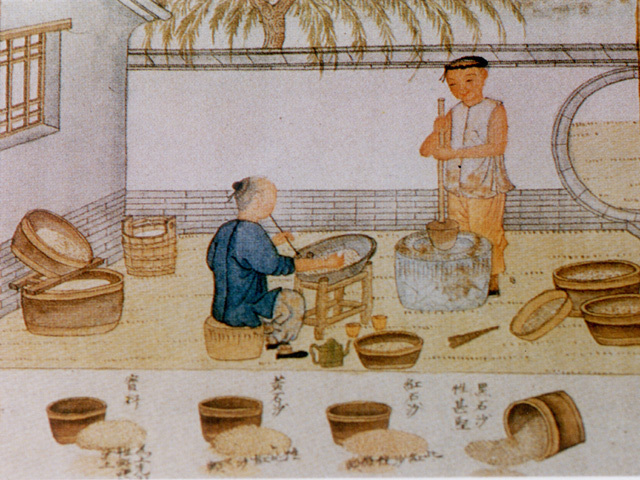 For instance, jade wine cups (Jue) and cups with pine tree and figure design were used to contain wine; Feng Hsing, censers, Tung, vases and Ding were popular fabrication objects; jade carved into cabbage shapes and jade vessels with pine tree, pagoda, mountain and kid design were displayed as ornaments. As for carving techniques, jade carving artisans in Ming and Ching dynasties mastered in combining painting, engraving and craft skills with various applications of traditional methods, such as indistinct Yin line, distinct Yang line, piercing (hollowing out), dimension and fancy colors, etc. All of these features constitute the characteristics of the development and heyday period of jade articles in Ming and Ching dynasties. In a word, the development of Chinese jade articles lasts for seven thousand years. During the development process, the inheritance relationship is fully shown. Jade carving art dated from the Neolithic Age and lasted for seven thousand years is the only lasting artistic variety among all types of arts in China. It is also the only art that keeps the closest relationship with human daily life. Ever since jade articles started production, they have always been merged into traditional Chinese culture and customs incessantly and played a unique role developing their specified functions that no other artistic works can replace. A rare glimpse of ancient chinese jade carving process.